The Unicorn is weary. After working very hard in the mainland cities, he wants only to enjoy the great festival Gathering of unicorns on Holy Island. But a little boy seems to need his help. What will he do? 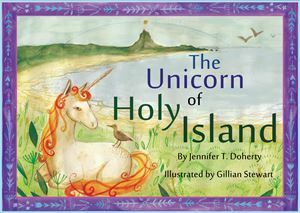 The latest gorgeous picture book from Serafina Press features images of Lindisfarne, the river Tweed, and the coast from East Lothian to the Northumberland castles.